This fast-paced lifestyle we’re leading contains considerable amounts of stress and unhealthy decisions. With so much information, responsibilities, and details that we have to think about, it’s no wonder we don’t always make the healthiest choices. Spending superhuman amounts of energy to accomplish everything expected of us, both our body and mind suffer. High blood glucose and high cholesterolare the most common consequences of such a lifestyle, and they can cause severe diseases like cholesterol or diabetes. For the prevention of these issues, it is essential to exercise, eat healthily, lose excess body fat, and rest well. When was the last time you ate a healthy meal? 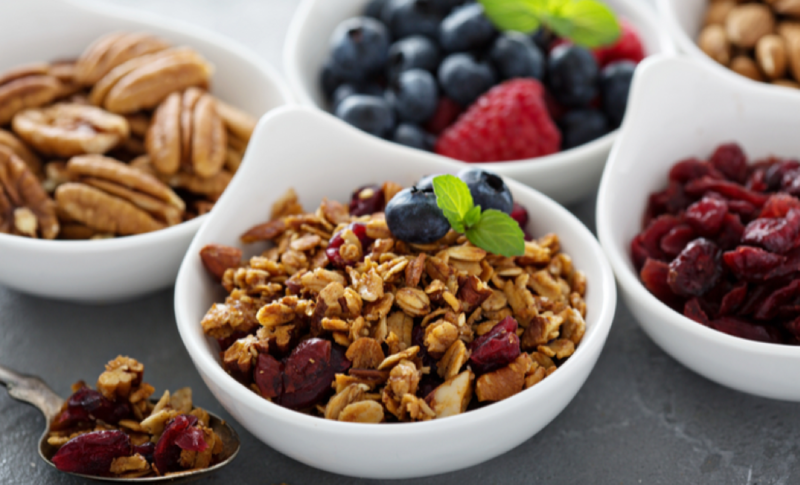 Today, we’ll try to help you find ideas for some tasty and healthy snacks that won’t increase the level of sugar or cholesterol in your blood, while at the same time, won’t take long to prepare. This one is as simple as rolling off a log. We all love mayonnaise, balsamic vinegar, cheese, and similar stuff. But using a couple of tablespoons of apple cider vinegar mixed with little mustard and basil can make a wonderful salad dressing that doesn’t contain sugars or bad cholesterol. If you try this combination, you will fall in love with freshness added to your salads, and you’ll also notice how this dressing makes them easier to digest. It might sound weird, but if you slice sweet potato and bake it in the oven, put it on toast, it won’t taste odd. As a spread for this sandwich, try the paste from white beans. Smash cooked white beans, add some lemon juice, salt, and pepper. Spread it over your potato toast, put a few slices of smoked salmon, and you’ll have delicious, healthy sandwich that will quickly become one of your favorites. 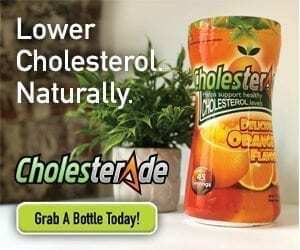 If you’re already eating healthy, but you still have high levels of cholesterol or glucose in your blood (or want to take your prevention to a higher level), than you should try Cholesterade. This food supplement naturally reduces cholesterol in your blood. What you need to do is put one scoop of Cholesterade in a glass of water or your favorite fruit juice, mix it well and drink it. It is recommended to drink Cholesterade twice a day, and you’ll see the changes very quickly. Both sour cherries and cacao are low in sugar and rich in antioxidants. In case you didn’t know, Antioxidants are substances that lessen the cholesterol level in blood. Add berries to the mix along with almonds (FYI – they contain no bad cholesterol), and you’ll get a perfect low-sugar, cholesterol-erasing smoothie. If you feel like experimenting, or you want to add more flavor, put in a little cinnamon and enjoy the magic. Eating healthy doesn’t have to be time-consuming. With the right ingredients and a little imagination, you can prepare delicious meals in no time. Also, no matter how much work you have, and how stressed you are, you can’t ignore your health. So try out these recipes that will control cholesterol and glucose levels in your blood and make you feel fresh and energetic. And if you want to learn more about Cholesterade, please visit cholesterade.com.